Aucklanders have had a week of water-related issues and challenges, and have shown plenty of resilience and community spirit, also getting in behind the drive to save water. 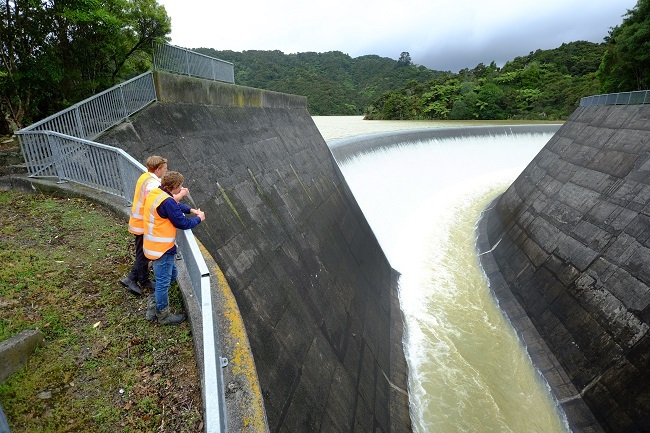 Auckland Council Chief Operating Officer Dean Kimpton says the council has responded to major flooding incidents across the region and is supporting Watercare’s calls to reduce water use. 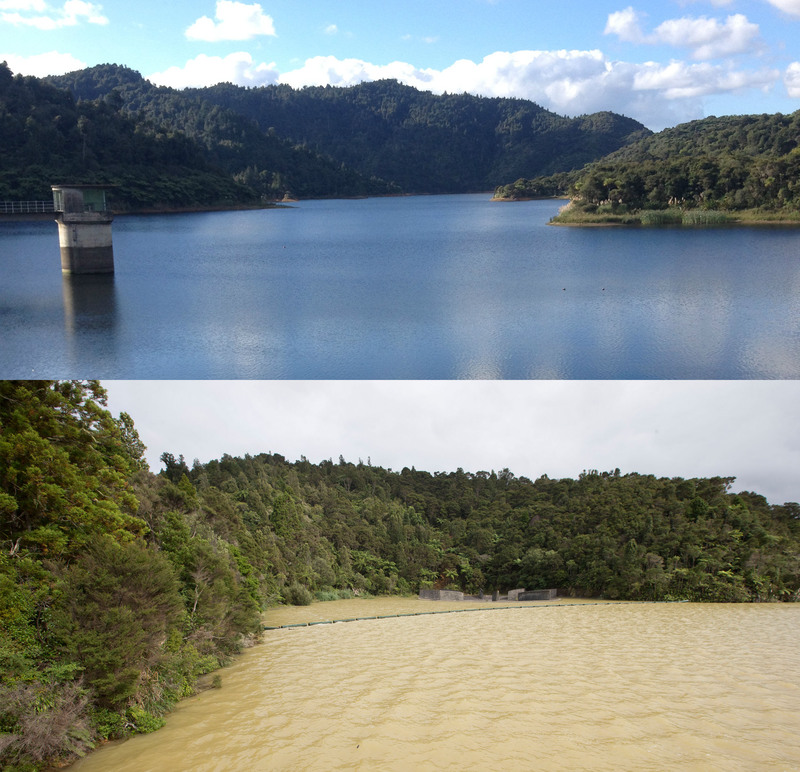 “We’ve seen Aucklanders reduce their water use by tens of millions of litres in an effort to reduce pressure on the Ardmore Water Treatment Plant. “We’ve supported the New Lynn and Kelston communities which have been badly affected by flooding – as have those that live in the Clevedon, Beachlands, Maraetai and Kawakawa Bay areas. “And we’ve responded to hundreds of localised issues that arose as a result of floodwaters, bad weather, high winds or slips. “The sun’s now out, but the need to reduce water use is still vitally important,” he says. Auckland Council is one of the biggest users of Watercare’s urban water supply. With its network of pools, parks, community buildings and maintenance requirements, the council has an important part to play in conserving the city’s water. “We have switched off fountains, water features, beach showers and taps, and non-essential irrigation in our parks and public places,” says Mr Kimpton. There are still some essential irrigation needs that the council will continue in order to meet winter sports field needs and make sure select gardens (like those put in place for Anzac Day) survive. “Where possible we’re using non-potable water supplies, and reducing water volumes and frequency of irrigation,” he says. Auckland Council’s Healthy Waters department continues to investigate the culverts at Clark Street, New Lynn, and Cartwright Road, Kelston, to determine the next steps in remediation work. The stormwater hotspot programme sees these two locations cleared fortnightly and prior to weather events (Cartwright Road was cleared twice prior to flooding events – March 2 and March 10). The small group of people displaced from Kelston were put up in emergency motel accommodation and have now been temporarily settled in a building owned by Auckland Transport in Mt Eden. The council has also provided basic necessities like food, nappies, basic medication and supermarket vouchers; passed on $100 HOP cards from Auckland Transport; offered free disposal of damaged goods at council transfer stations and arranged for storage of furniture and other household goods. Patrick McVeigh, General Manager Business, Innovation & Skills, Auckland Tourism, Events & Economic Development, says ATEED is keen to work with New Lynn businesses that have been affected by the flooding, and will be looking at a range of support options. “We will be working closely with the local business association and the local board to help businesses get up and running, and link them with support networks that can provide further assistance,” says Mr McVeigh. With Neighbours Day Aotearoa taking place next week on 25-26 March, and following the weather events of the last week, it is a great opportunity to get to your neighbours now, in case of an emergency. “When disasters happen, neighbourhoods can get cut off and you many find yourself having to rely on the people around you to survive – the last week has driven this home for us all,” says Auckland Councillor Sharon Stewart, Chair of the Civil Defence and Emergency Management Committee. Water usage as of Friday was at 402 million litres, two million above the recommended savings mark of 400m litres a day. I am waiting to see the weekend and Monday figures to see if we dip below 400m over the weekend then go back over 400m on Monday. Because if we do then Watercare’s communications is in need of a major shake up. Industry and commercial use 25% of our water supply available. Yet in the weekend we are able to save but in the week days we can not. This tells me residents are saving but businesses are not so why not? Answers are also needed on Watercare’s communications because unlike Civil Defence which was all there Watercare was not. Muddled messages, conflicted target savings and no follow through when the Ardmore Plant was backed up with silt. Hopefully Mayor Goff’s review will look at how Watercare’s communications is set up to handle post Civil Defence emergencies.